Summer’s here, and it’s time to pick a holiday destination! This year we’re letting our stomachs lead us – here’s our breakdown of the best European cities for foodies this year. Europe is considered by many to be the centre of the culinary world. Fine gourmet dining has been evolving here for literally millennia, and nations like Italy and Spain boast of a culinary culture that has been centuries in the making. Each nation proudly presents a truly unique culinary history and culture that defies other countries to do it out. With enthusiasm, they respond – the pasta of Italy, the beers of Germany, the cheeses of France and the meats of Spain. European countries are proud to defy culinary expectations and to flout the rules shamelessly – although bound by a cooking tradition that is centuries old; those very traditions encourage innovation and creativity. If you love food, you’re going to need to visit Europe this year, and next year, and the year after that, because if one thing is certain about the continents unbelievable food scene, it’s that no one is eating last year’s menu. In the spirit of the food revolution going on in Europe this year (and every other year), we’re ignoring some of the classic culinary capitals like Paris, Rome and Barcelona, to check out some of the up and coming European food capitals. Inevitably, if you’re going to talk about European food, you’re going to have to talk about Italy. Sicily’s food culture goes bone-deep – much of the island’s primitive familial culture has been built heavily around a tradition of shared meals and classic, homegrown cooking styles that still bear a distinctive identity from that of the rest of Italy. 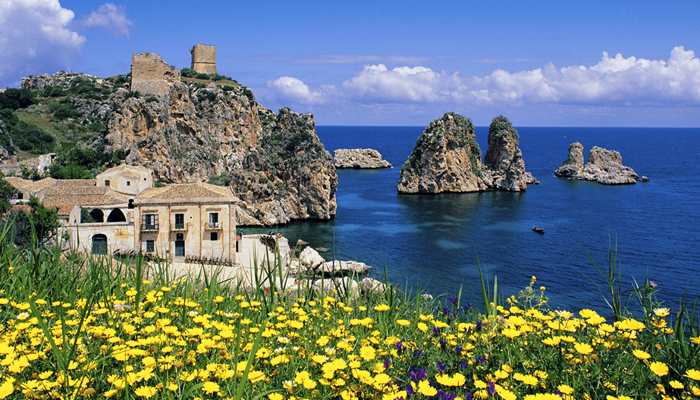 If you’re visiting Sicily this year brace yourself for Godfather-esque feasts. Sicily’s unique food culture has been influenced by the various cultures and communities that have shared that island over the past thousand years. The result is a mouthwatering blend of Italian, Spanish, Arabic and Greek influences. Particularly favorite dishes among the island’s inhabitants are Arancini, stuffed rice balls coated with breadcrumbs and fried, said to originate from the 10th century, and the world famous “Italian” desert treat, Cannoli – shortcrust pastry filled with sweet ricotta, mascarpone or flavoured creams. Sicily’s food will leave you feeling as though you are lost in a medieval dream, and will be the perfect basis to a truly unforgettable culinary adventure. Greece has received a bad rap over the last few years – political unrest and economic instability have caused a decline in the once terrific appeal of the Greek mainland and islands for holidaymakers. The mighty machine of the Greek tourist industry has also taken its inevitable toll, as once classic, traditional food culture has been, frankly, prostituted for tourists. This is a catastrophic shame, for shining like diamonds in Athens’ rough are some of the most exceptional culinary experiences in Europe. Karamanlidika is the perfect example. The menu of this delightful traditional Greek restaurant focuses on simple dishes that are indicative of the Greek style of eating –simple, small scale dishes, perfect for sharing and based on classic Greek restaurants. This delightful venue will transport you to the classic Greece of fairy tales, a homespun extravaganza of the best that Greece has to offer in food. The Netherlands, much like their neighbours the British, have never had an excellent reputation for food, and this is a crime. 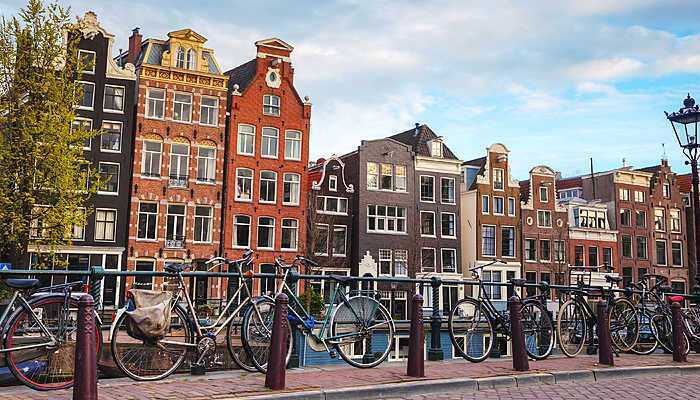 Amsterdam is the perfect example of a vibrant culinary city whose mouth-watering attractions are a little known secret. What makes Amsterdam unique among our selection is that the city’s most celebrated culinary triumphs are not what you might call traditionally Dutch. While the fantastic farmer’s markets boast the very best of Dutch fare, from Edam and Gouda cheese to the sugary delights of Dutch baking these amazing street markets are an eating experience you will never forget. But it is its restaurants that set Amsterdam apart, utterly unique venues that blend the different cultural influences that the centuries have brought to bear on the city. A perfect example is Café de Klos, a restaurant sitting not far from Leidseplein. Café de Klos specialises in ribs, and their originality has fierceness to it – the café’s speciality ribs are prepared with marinades and heavy seasoning using de Klos’ secret recipes, and those who suggest they need American style sauce are dealt with harshly. The restaurant is a smoky single chamber, furnished in deep red oak with the kitchen section off in a corner but close enough to set the mouth watering. The centre of the room is dominated by a bar behind which the staff move in a calculated frenzy, and yet while the merriment of the scene ought to be claustrophobic, the closeness of the dining floor enhances the experience. Pushed together at the bar and tables as you pack yourself into one of the coveted seats (de Klos doesn’t take reservations), there’s a sense of shared experience, intensified by the fact the air is thick with the smell of cooking ribs and everyone else’s meal. Café de Klos epitomises what is unique about Dutch dining, a willingness to innovate combined with a dedication to creating a certain atmosphere – what the Dutch call gezellig, an untranslatable word for a happy, memorable experience.